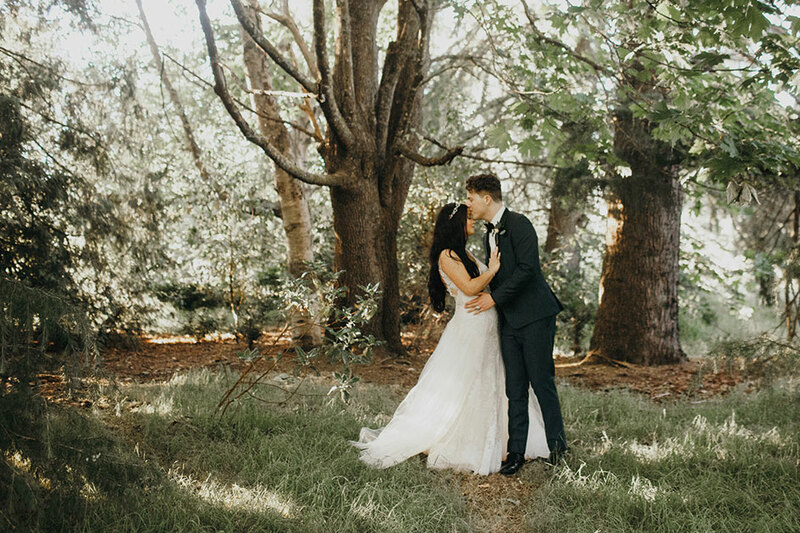 David Acker pulled off the perfect beachside proposal to Elizabeth Rackley, his love of two and a half years, while the two were living on Maui. 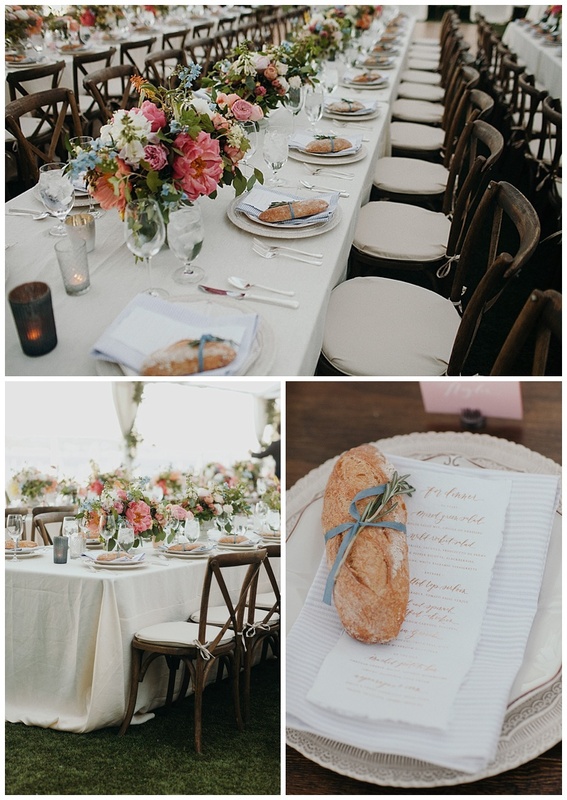 As the couple took a beachside stroll at sunset before they were set to head off for dinner one night, the prospective bride noticed an elaborate table bedecked with strewn rose petals and candles set up down by the water and she jokingly noted, “Someone is about to get engaged.” The special someone turned out to be herself as the couple’s parents popped out from nearby hiding places to celebrate after her enthusiastic “Yes!” to David’s question. 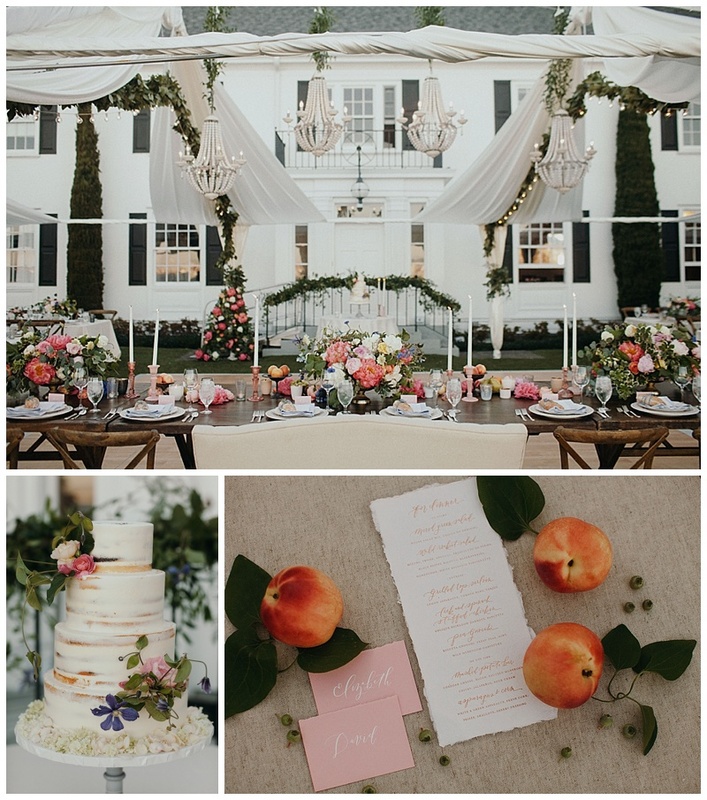 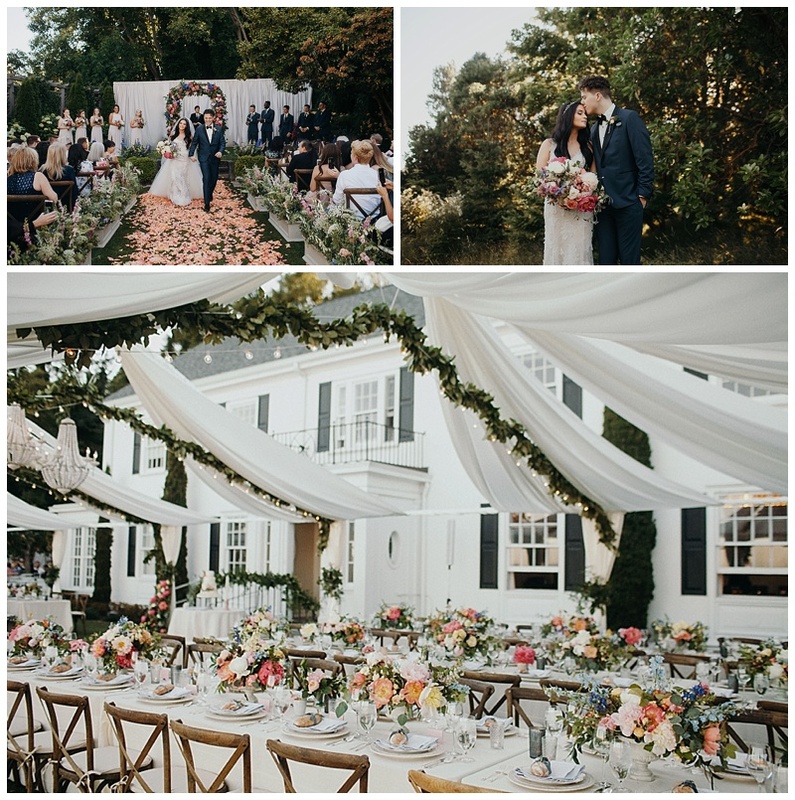 Inspired by their own sunset proposal, the duo set out to plan a romantic outdoor garden wedding kissed with nautical touches reflecting their venue, The Admiral’s House. 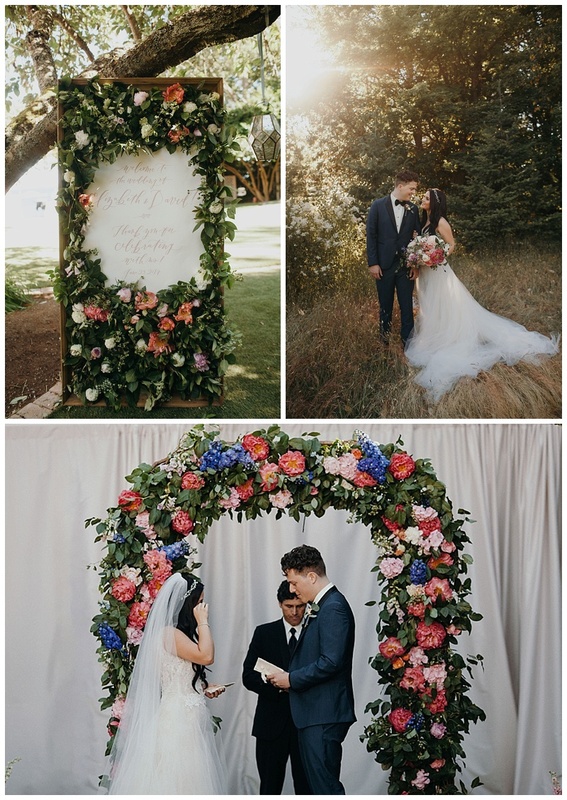 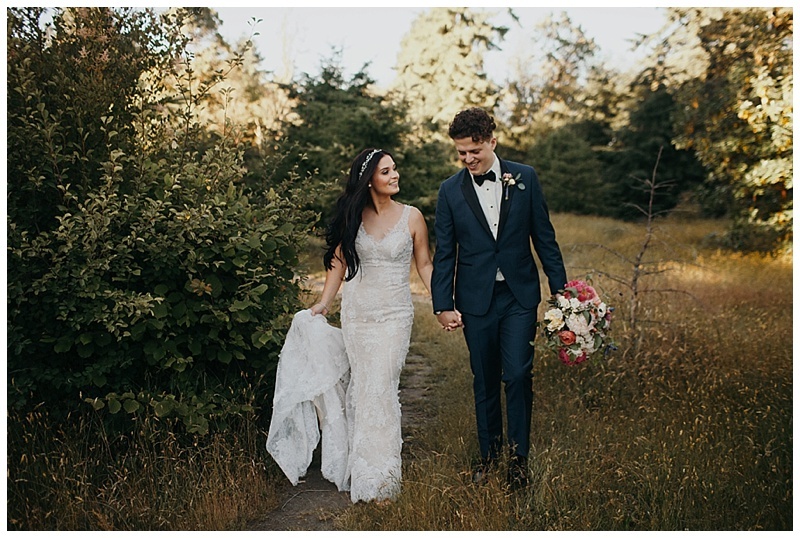 The couple’s florist, Kaleb Norman James Design, incorporated the vivid hues of the sunset into the abundant floral decor, including surprising pops of blue, one of Elizabeth’s favorite colors. 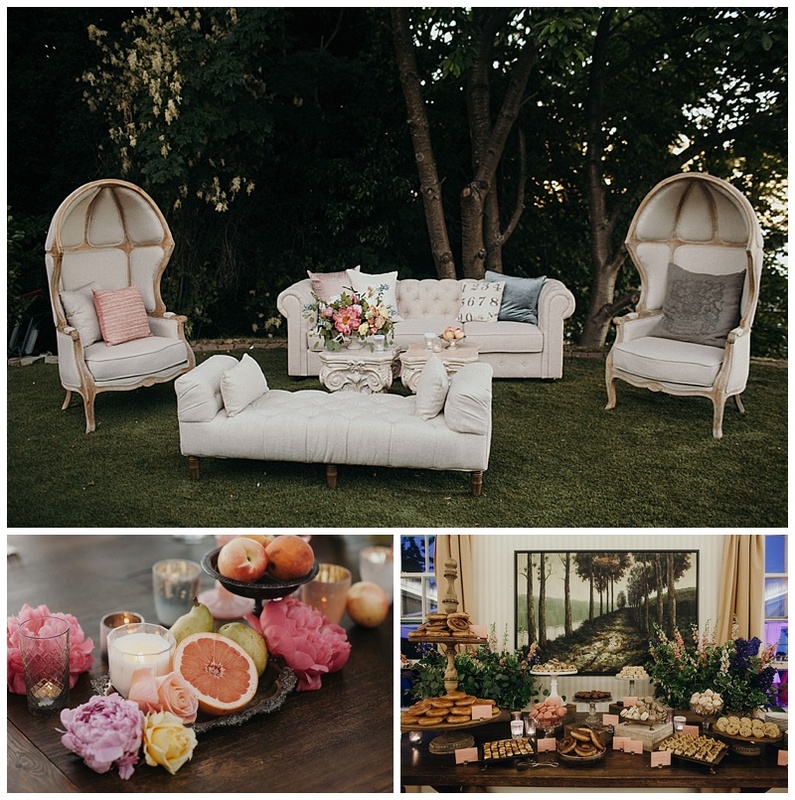 On the big day, guests were treated to individual baguettes set at their reception place spots as well as a dessert bar laden with macarons, ice cream sandwiches and cookie dough cheesecake bites.